This post is sponsored by iHerb. All opinions my own. This month, I’ve really been committing to my health. I’m doing personal training twice a week, bootcamp classes twice a week, and my body is so pleasantly sore. But if you’ve ever stuck to a regular workout schedule, then you’ve probably experienced the one downside to being super active: you also get super hungry! The last thing I want to do is out-eat my fitness plan! So in an attempt to control my hunger after workouts, I was checking out some of the Nature’s Way products on iHerb. 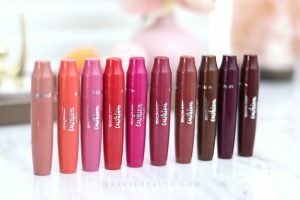 iHerb is an online retailer that sells a ton of healthy living products, and I’ve even picked up some beauty faves on the site in the past! This time, I was looking for a meal replacement that would not only work as a great post-workout protein shake, but also help me keep cravings at bay. I was looking through the products from supplement brand Nature’s Way (there are over 400 on iHerb!) 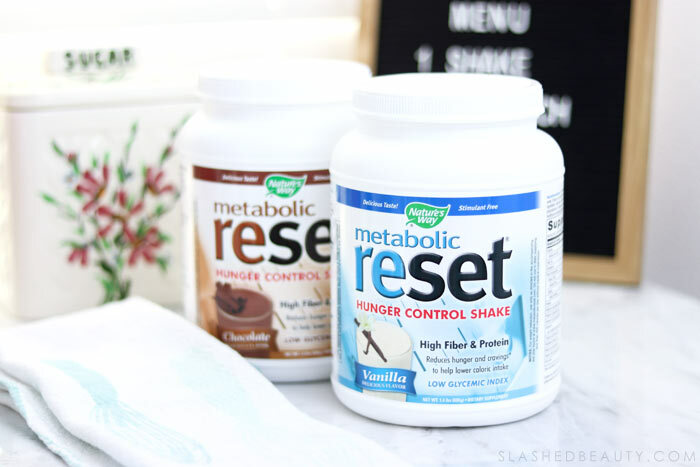 and came across the Metabolic Reset Hunger Control Shake. 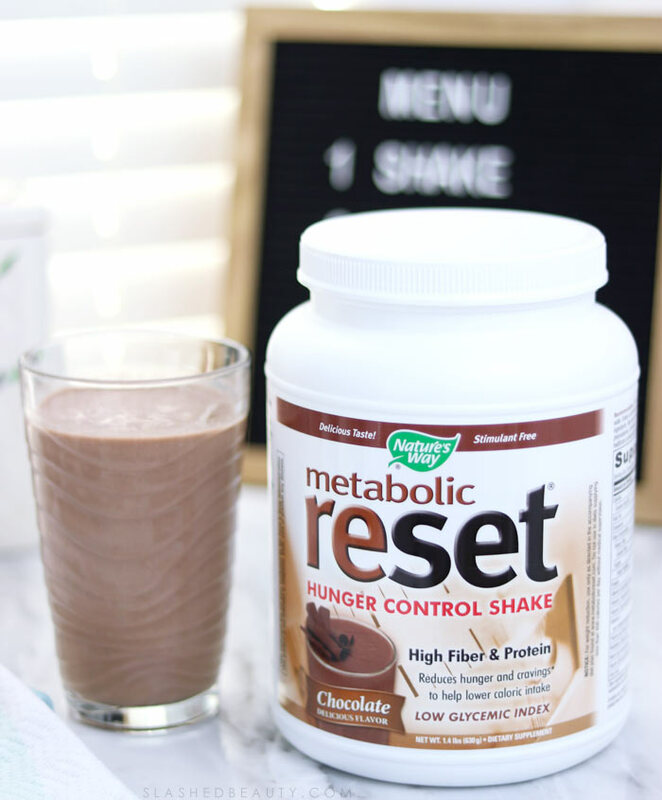 The Nature’s Way Metabolic Reset Hunger Control Shake was exactly what I had been searching for. Not only was it designed to help me feel full, despite only being 130 calories, but it contained high protein (21g) & fiber (7g), only 6 net carbs. Plus, it’s fortified with extra vitamins & minerals like Vitamin B12, Biotin, Magnesium, and a ton more for an overall health boost. It’s made without aspartame, sucralose or preservatives, but what was really important to me was that it was stimulant-free… which means I don’t have to worry about random urgent trips to the bathroom later. 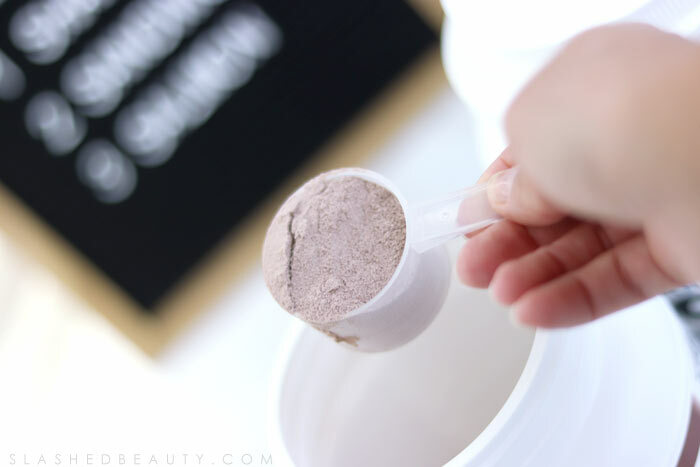 The shake powder comes with a measuring scoop, and one serving size is two scoops. While the directions say you can mix it in with water, I prefer using Almond Milk for a more creamy and sweeter taste– it only adds 30 more calories to my shake for a total of 160. I use a stick blender to help incorporate the powder into the milk, but you can also use a shaker bottle– just using a spoon doesn’t quite get the powder completely dissolved. When it’s completely incorporated, the powder thickens the milk slightly for a true shake consistency. 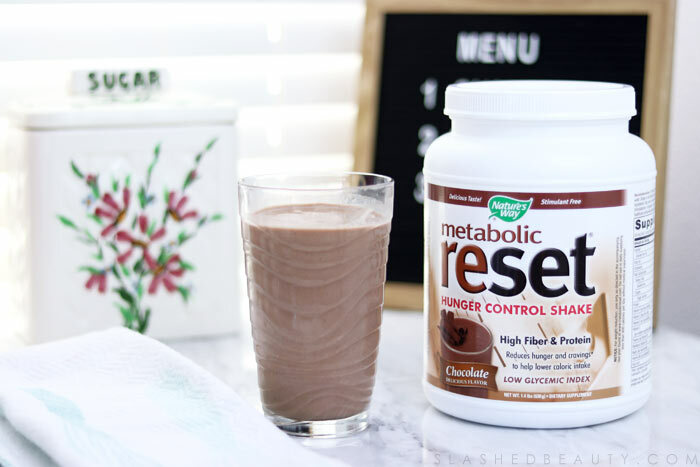 There are two flavors of Metabolic Reset on iHerb: Chocolate and Vanilla. Funny enough, I’m not a chocolate fan at all, but the chocolate shake ended up being my favorite of the two. I like that neither of them are too sweet though, and I mix them with unsweetened almond milk. You definitely have room to customize your shake if you want to add in other ingredients like fruit without the shake flavor being overpowering. So how did it work? I usually do my workout sessions in the morning, then I’ll come home and make a shake for breakfast– though they can also be used as afternoon snacks as well. I was so surprised with how filling this shake was the first time I drank it, I could actually barely finish it! After that, I adjusted the amount of milk I used– now I stick to about 10 ounces. It keeps me feeling totally full right up until lunch time, at about 12:30-1pm. I usually only drink one shake a day. This might be TMI, but I have to say it because it’s a big part of why I love this stuff. As I said earlier, this shake is stimulant-free, so it’s not going to force you to go to the bathroom, but the fiber will help your body naturally get things going. I started drinking this shake when I returned from my Mexico vacation, where I became quite irregular. Within a day, this shake had my body working like clockwork… literally. Like, I could predict within an hour window when I would need to go to the bathroom, and it was quality time in there. Yep, definitely too much info, but it’s been one of the main reasons why I have stuck with this for a month now because my body is feeling so much better with all systems working as they should be. I’ve also noticed that my cravings are pretty much wiped out during the day. I still like my desert after dinner, but I don’t crave any munchies between meals like I used to. I feel like the shake has also helped me not carb-load during meals as well. I’ve been totally fine with protein and veggies without having to add a clunky carb on the side. This is making it a lot easier to hit my nutrition goals daily. 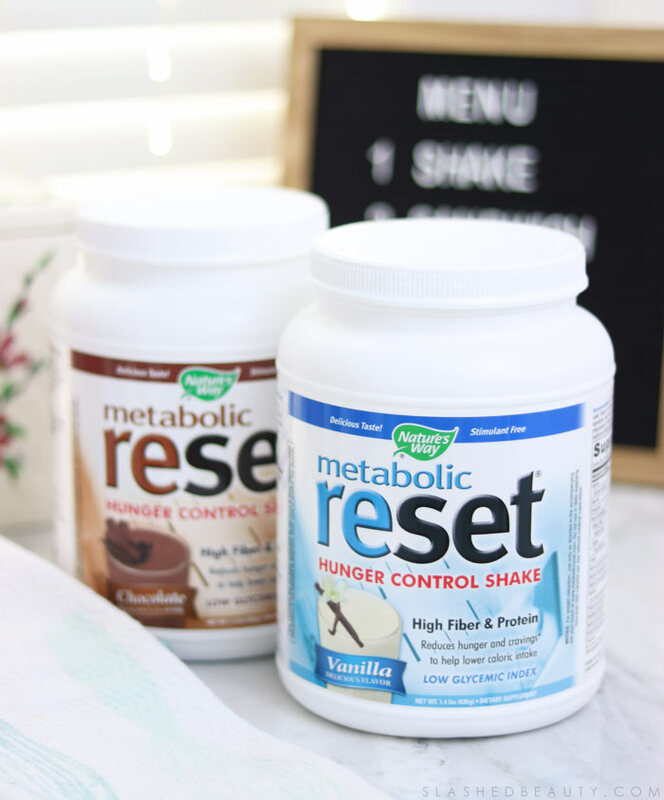 The Nature’s Way Metabolic Reset Hunger Control Shake has been an easy addition to my health routine, and I am definitely going to continue to use it to stay on track. 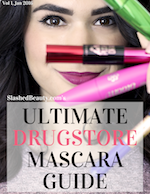 You can find it on iHerb for just under $34. Customers can get a discount off their Nature’s Way order and New Customers can get an additional $5 off their minimum $40 order by clicking here! Have you ever tried a hunger control shake? What was your experience?